Medan, the capital of Northern Sumatra, is probably best known to tourists as the ideal jump-off point for a variety of popular tourist attractions in the area. Near it is Berastagi, with its gorgeous falls and mountains as well as the spectacular Lake Toba; and near the coast is the ever-popular Penang Island, a well-established haven for tourists and vacationers both. It cannot be denied that Medan indeed has great value as a rendezvous center for travelers headed to those areas, but it would be unjust to deem it worthy of notice only because of those places. It may not be as well-known, but Medan in fact has its share of tourist-worthy sites, and it boasts a distinct character all its own that many travelers often come to appreciate for its appeal. Medan is a big city—the third largest in the country, in fact. You will have quite a time trying to cover all of it, as a result, and shall definitely find much to amuse you here. It is fairly modern and has a lot of the best amenities, from modern theme parks and enormous malls to the most luxurious spas. However, it also has a great deal of its past charm serving it in good stead with tourists, as many of its buildings from the Dutch era remain in remarkably good shape. Indeed, many parts of Medan appear designed by a clutch of Art Déco Dutch architects, due to the remnants of the buildings of old. But there are also many of Oriental origin, from the Maimoon Palace to the Mesjid Raya Mosque, and remarkable Hindu temples and Buddhist shrines sit next to very old Chinese houses. What really makes Medan delightful, though, is probably in that most basic of pleasures: what one can eat in it. Medan boasts some of the best eateries—both posh and pedestrian—in the country, and is in fact known among Indonesians as something of a culinary mecca. This is a place where one can sample the best of Indonesian fare with the most exotic of Chinese cooking, with a dozen other cultural influences available from the menu. Sometimes, just walking into a restaurant and pointing to something on the menu at random can be an experience! So when you go to Medan, be sure to take your time sampling the food wherever you can: even the smallest eatery might deliver the meal of your life. 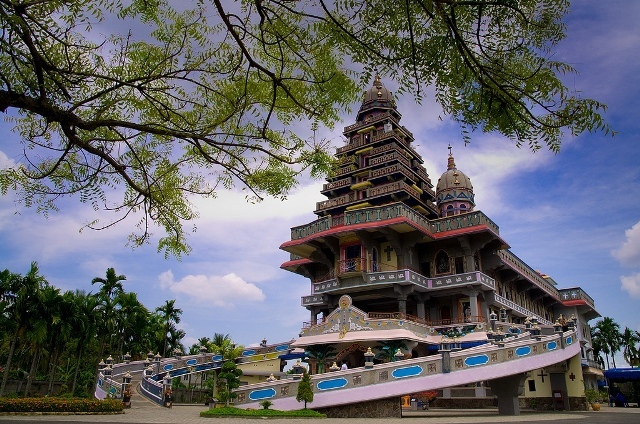 While predominantly occupied by Moslems, Chinese and Indians, one unique place of worship in Medan, Indonesia is the catholic shrine of Graha Maria Annai Velangkanni. Built in 2005 in the district of Sunggal, it is dedicated to this specific Saint, who was made popular by an apparition in India in the 17th Century. Also known as the Temple of Our Lady of Good Health, it is a unique church, a replica of the church found in Tamil Nadu, India that is a well-known spot for Medan pilgrimage among Catholics. Situated in Jalan Raya Medan-Berastagi nearly 50 kilometers from Medan, HillPark Greenhill City is the biggest theme park on the island of Sumatra. With its exciting three themes, namely the Lost City, the Heritage and Toon Town, it offers wide varieties of excellent fun rides and other forms of entertainment. 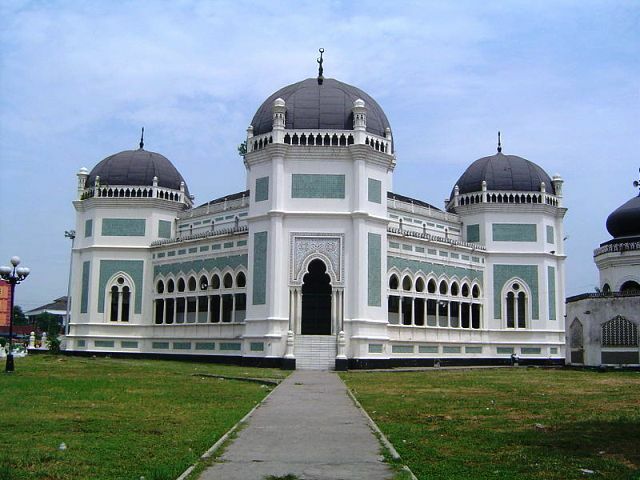 One popular landmark in Medan is the Great Mosque, locally known as Masjid Raya, considered to be the biggest and most beautiful mosque in the whole of North Sumatra. It is often used by the Moslem community in Medan for daily prayers. Together with Maimoon Palace, it has been one of the legacies of Sultan Deli in North Sumatra. Given the intricate decorations inside the temple, it is easy to believe that some of the materials used for adornments were created in Italy. Every year, more and more foreigners visit this gorgeous mosque, all of them coming from different parts of the world. 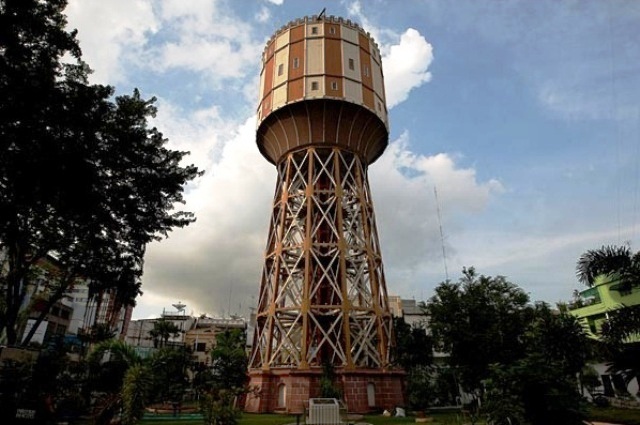 Built in 1896, the Tirtanadi Water Tower is not an ordinary structure in Medan. It is known as Medan’s true icon, standing tall in the middle of the Medan traffic, along the intersection of Sisingamangaraja Street and Pandu Street. The Water tower of Tirtanadi is not only the city’s landmark but is very useful in draining water to every corner of Medan city. 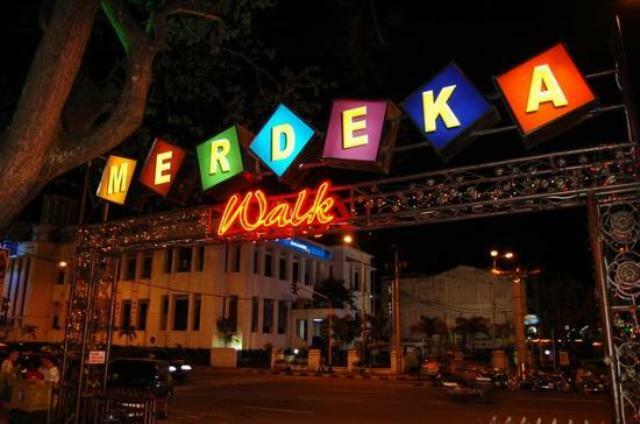 Situated in Jalan Balai Kota, Medan, Merdeka Walk is known as the hottest spot in town. With its huge name plastered at the entrance gate, you can see crowds of people dining, strolling or just lurking at this lively place. 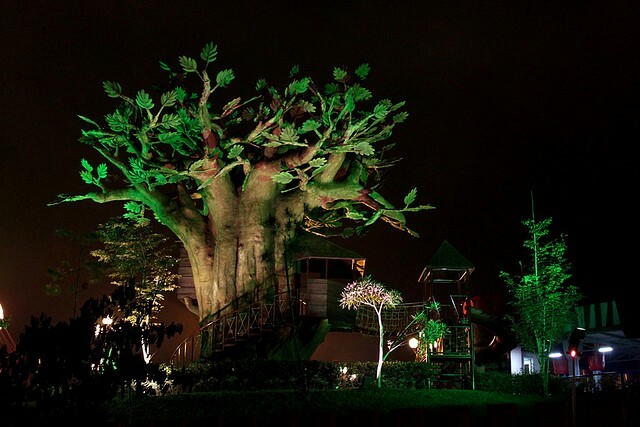 This place is an ideal hang out outdoor spot under the bright colorful light adorned on huge trees. 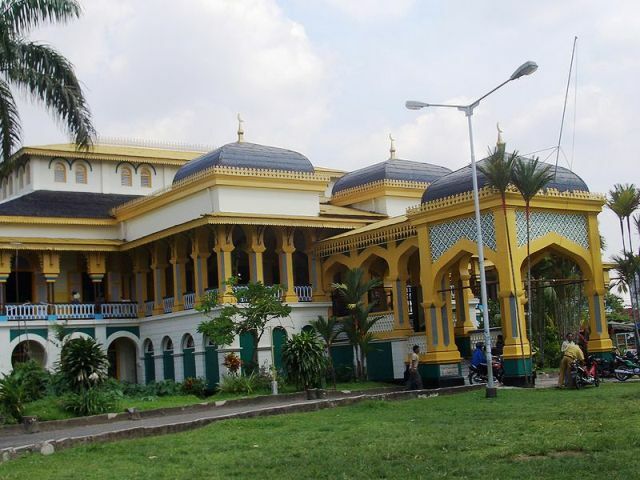 Built in 1888, Istana Maimun Palace is one of the two Medan landmarks considered to be part of the legacy of Deli Sultan Makmun Al Rasyid Perkasa Alamsyah, with the other building known as the Great Mosque. Commonly known as Maimoon or Maimun Palace, it has become a top tourist destination not only for its age but also because of the remarkable ancient architecture and interior design, combining the styles of Islam, Italian, Indian and Spanish with an added Malayan cultural element.